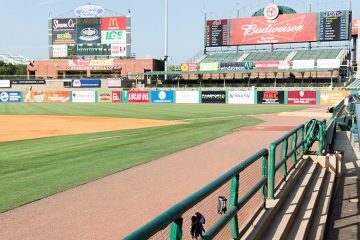 The midway point of the minor league season is upon us, at least for the full-season teams. That means it’s the perfect time to look back and see who should be on a fake Cincinnati Reds minor league All-Star team. One of the top prospects in the organization, Taylor Trammell has gone to Daytona this year and has not slowed down at all. In 59 games played he’s hitting .301/.402/.450 on the season with 16 extra-base hits and nine stolen bases. The Dayton Dragons outfielder has played in 67 games and is currently hitting .277/.377/.460. He’s doubled 12 times, tripled five times, and he’s hit seven home runs. He’s also gone 17-for-21 in stolen base attempts. The 21-year-old right hander has posted a 2.96 ERA for Daytona in 13 starts. He’s tossed 76.0 innings, allowed just five home runs, walked 19 batters, and he has 61 strikeouts. With Double-A Pensacola, Keury Mella has made 14 starts with a 3.10 ERA. Over 72.2 innings he’s allowed just 58 hits, walked 26 batters, and he’s struck out 76 opposing hitters. The lefty has made four starts and nine relief appearances, so this is slightly cheating, but he’s pitched in long relief and he’s been outstanding this year. He’s thrown 48.1 innings with a 2.42 ERA, walking just nine batters and he’s struck out 46. Lots of Dayton and Daytona in there, which is good for the future. Isn’t it time to move some of these players up to the next level? That typically starts happening after all the All Star games, so a few should move. Yes. The Reds usually wait until after the All-Star games to move most guys up. Tomorrow everyone will be back from the All-Star break and that’s when I would expect to see some movement. I don’t know how much we will see compared to previous years, but I think that we will see some. Will Keuey mella go to AAA?… Is he figuring it out? Why did they take him out after 5 innings in his last start with a no – hitter and 80 + pitches? Don’t you start building game endurance at AA for your high prospects? I don’t know if he will or if he won’t. They probably pulled him so he could start the All-Star game last night. Great stuff Doug. I do wish more of these guys were at Pensacola and Louisville, but I suppose the really gaudy numbers tend to show up in the mismatches in rookie and A ball. Has Santillan cooled off a little? I recall he had video game numbers earlier in the year. 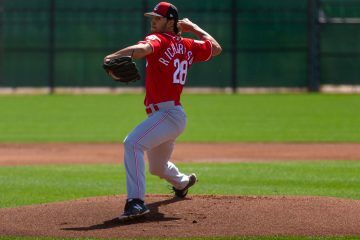 Still – is he a future rotation piece for the Reds? Cody Reed has been better than Robert Stephenson in Louisville.